Since before recorded history, people have congregated near water. But as growing populations around the globe continue to flow toward the coasts on an unprecedented scale and climate change raises water levels, our relationship to the sea has begun to take on new and potentially catastrophic dimensions. The latest generation of coastal dwellers lives largely in ignorance of the history of those who came before them, the natural environment, and the need to live sustainably on the world’s shores. Humanity has forgotten how to live with the oceans. 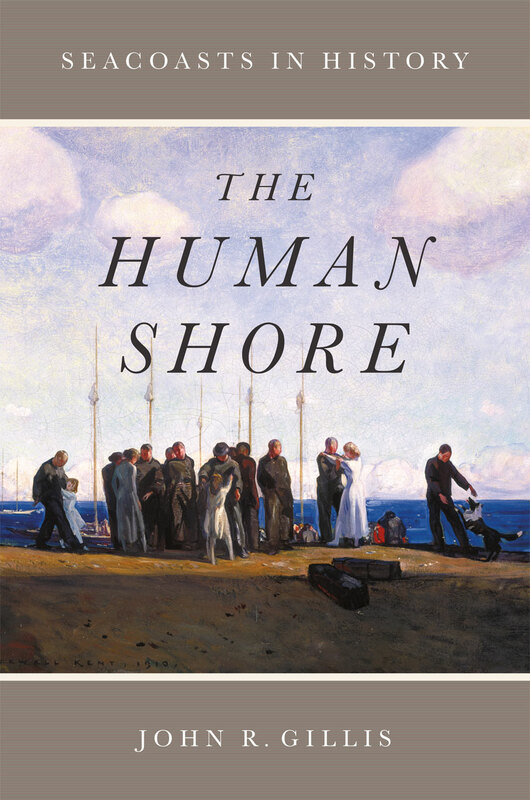 In The Human Shore, a magisterial account of 100,000 years of seaside civilization, John R. Gillis recovers the coastal experience from its origins among the people who dwelled along the African shore to the bustle and glitz of today’s megacities and beach resorts. He takes readers from discussion of the possible coastal location of the Garden of Eden to the ancient communities that have existed along beaches, bays, and bayous since the beginning of human society to the crucial role played by coasts during the age of discovery and empire. An account of the mass movement of whole populations to the coasts in the last half-century brings the story of coastal life into the present. Along the way, Gillis addresses humankind’s changing relationship to the sea from an environmental perspective, laying out the history of the making and remaking of coastal landscapes—the creation of ports, the draining of wetlands, the introduction and extinction of marine animals, and the invention of the beach—while giving us a global understanding of our relationship to the water. Learned and deeply personal, The Human Shore is more than a history: it is the story of a space that has been central to the attitudes, plans, and existence of those who live and dream at land’s end. "In The Human Shore, John R. Gillis leads the reader on an interesting trip through time showing us how early humans led stable lives as hunter-gatherers at the edge of the sea, through the eras of coastwise exploration and industrialization, to today’s high priced, ocean-view and beach-front real estate. A readable consideration of the changing perceptions and utilization of the shore, The Human Shore will appeal to a variety of readers." "This provocative and wide-ranging book is a timely reminder that the relationship with the sea stands at the center of the history of humanity." "In a detailed, expansive and wide-ranging history, John Gillis carefully examines the complex, uneasy, and continually evolving relationship between humans and the sea, asking us to reconsider some of our cherished assumptions. As ever increasing numbers of people return to crowd the fragile edge of the ocean, understanding this history is a must." "Recommend[ed]. . . . Gillis does an excellent job of portraying people’s evolving relationship with the shore and their eventual love affair with beaches, which was the last part of the shore to be settled."